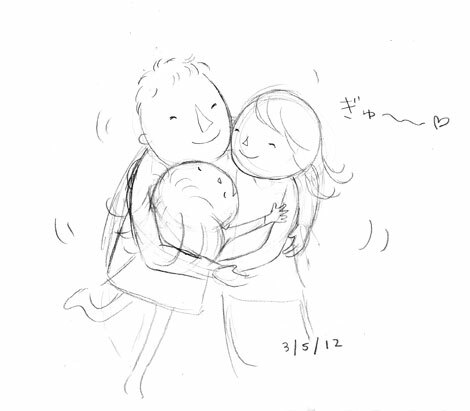 Maya told us, "Let's do Family Hug!". So three of us hugged together in one morning. This is my favorite hug. Because it'll give me indescribable power to believe we can go through any difficult moments together. How sweet!!! Maya is a such sweet girl! Family hug is also what we love in our family. It is the best beside family kisses!! 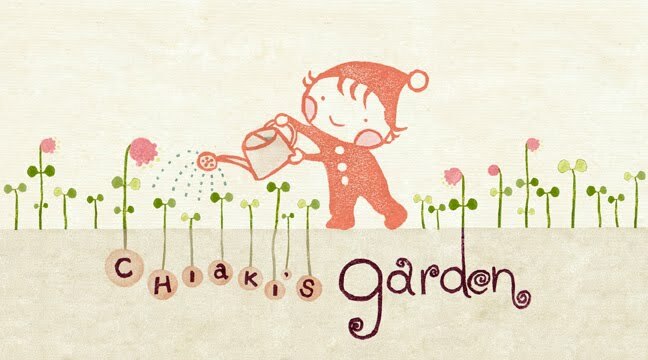 ^_____________^ Have a wonderful week,Chiaki! Thank you for your comment, Ni! Right, Family Hug and Family Kisses are the best thing! Have a great week to you, too. I love your blog and the little illustrations, so cute. Your little girl sounds wonderful, she must inspire you lots! I also like your stamping technique, it looks really effective! Thank you very much for your comment, Julie. I'm so happy that you like my style. I'm having fun with it!